Who Moved My Borscht? : Banya Time! Check the box! One of my goals this spring was to try the ‘ole Russian tradition of Banya! 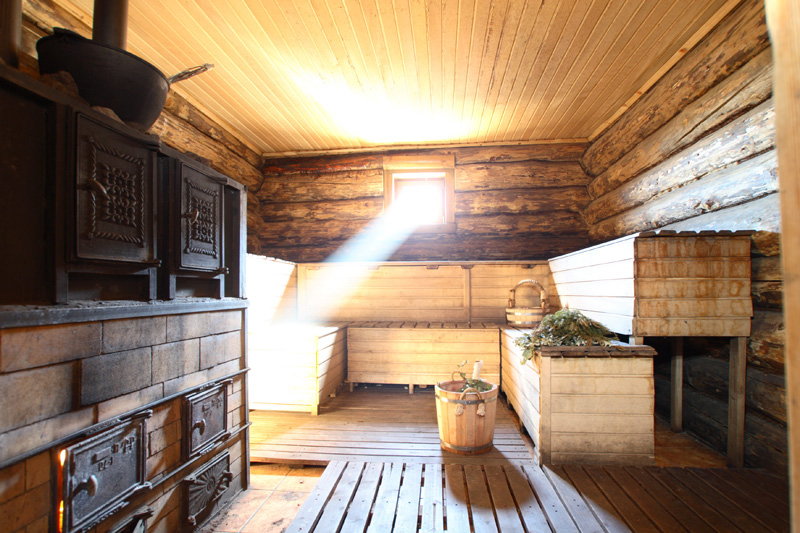 Banya, best described as a steam room or sauna followed by a freezing cold plunge and a healthy dose ‘o torture, actually plays a significant role in Russian culture. The Banya, traced back to the 1100’s, is believed to deliver health benefits of better circulation, pore cleansing, de-toxification (great after long vodka benders), improved oxygen flow to muscles, possible skin removal and good plain relaxation. 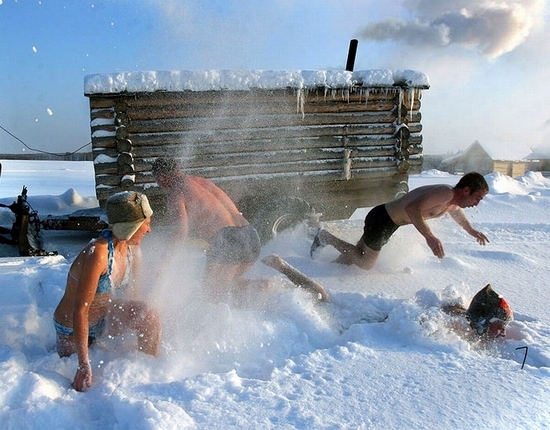 Many Russians hit the Banya on a weekly basis as part of their health routine. Met up with a group of fun ladies from the American Women’s Org at the famous Sandunovsky Banya very close to the Kremlin, (we were all newbies to the “sport” except for our fearless leader). The changing area was beautiful - marble floors, dark wood lockers. We purchased our recommended head gear - the famed felt Banya hat! And who doesn’t look good in one of these gems? We’ve decided it will also serve well as a party hat, an extra thermal layer in extreme weather conditions, and possibly a good piece with which to dust the apartment. It’s a good thing men and women have separate Banyas as clothes really were not an option. We started with the sauna...and you haven’t experienced extreme heat until you’ve been in one of these babies. The Russian Banyas can reach up to 200 degrees F which is why you have the felt hat on - to protect your head from the scorching heat (sounds like fun - yes?). The wood benches in the sauna are also hot as hades, but apparently a little burned flesh never hurt anyone. 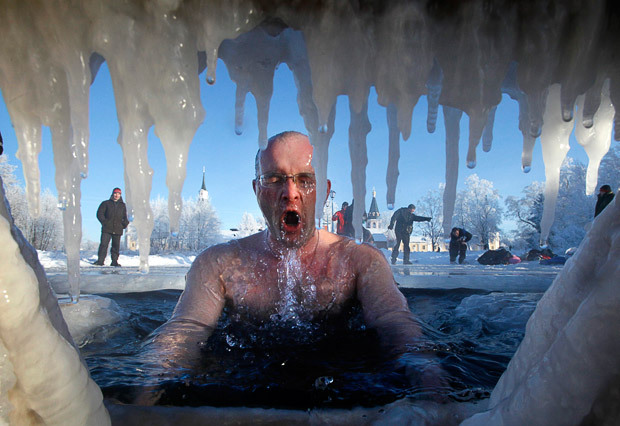 After the furnace, you take a full body plunge into an ice...ICE cold water tub which is big enough for one at a time, or an attendant pours a huge bucket of freezing water on your head. In the winter - you have the tough choice of flailing around in the snow or jumping into ice water in a carved out ice hole over a lake, (these choices are only good and better). After the ice shock, you then submerge into a cool pool which actually feels down right warm after the arctic blast. My friend, Katie, and I mustered up a dose of courage to try the popular venik - branches and dried leaves from birch, oak or eucalyptus used by a strong, muscular attendant to pummel the living life out of you while laying down in the sauna. Let’s just say you definitley feel invigorated and well circulated after 10 minutes of this thrashing. (The memory of the pain does go away). Once your heart rate returns to a normal level, you retreat back to the beautiful locker room for tea, juice and a light snack. And then repeat the entire process until you feel completely relaxed...or beaten up...whichever comes first. All kidding aside, it was a fascinating experience and one I would do again...perhaps next time in the dead of winter - swimming hole or snow? The hat is definitely you. Yikes! What courage! What fortitude! What insanity! 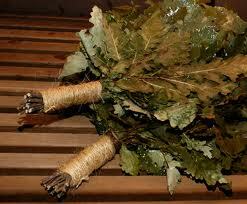 How about another dose of Banya in, say mid September when the Kings are in town??? Let's do it!!! We are not scared (ok, Rob may be scared...). Kind of reminds me of spin class followed by a dunk in the Sport & Health pool (not really). Love the courage, Annie!